This is a matter that may be of interest to you and your friends and relatives who have (or have had) a mortgage in Spain. You may have read about it in the press. (This link opens a new tab). Recent sentences from the Spanish Supreme Court have stated the possibility of declaring “void” the mortgage clause which obliged the borrower to pay all the expenses involved in the constitution of the mortgage and its registration in the Land Registry. Mortgage Notary Fees, Land Registry Fees and Mortgage “Gestoría” Fees. Fees of the Valuation of the property made prior to authorisation of the mortgage. The bank appointed a “Gestoría” (solicitor’s office) to deal with the title deeds of purchase and mortgage on its behalf, collect them from the Notary office, pay the corresponding stamp duties and present them at the Land Registry and collect them. This is standard procedure. On completion, the bank charged a deposit for expenses to your bank account and once the “Gestoría” collected the title deeds from the Land Registry, they should have sent you the complete file with COPY OF THE TITLE DEEDS AND THE ORIGINAL INVOICES PAID FOR ALL THE EXPENSES INCLUDING THE FEES CHARGED BY THE “GESTORÍA” FOR ITS WORK. If you do not have all these documents you should ask your Bank to provide them. 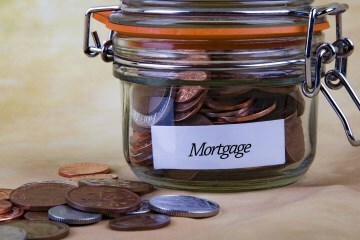 Prior to authorisation of the mortgage, the bank ordered a valuation of your property. Prior to completion, the bank charged you the fees for that valuation and they should have sent you a copy of the invoice. If you do not have the copy of that invoice, you will need at least a BANK STATEMENT WHERE THE CHARGE OF THAT VALUATION FEE APPEARS. If you do not have that bank statement, you should ask your bank for a copy. Power of Attorney to act in Court. Power of Attorney for us to act on your behalf in Court will be required. Total cost in Spain will be approximately 90€. If you are interested in proceeding or have any questions, please let us know and we will be glad to assist you.